These photos are from our performance at Oasis Dance Camp-South 2000. 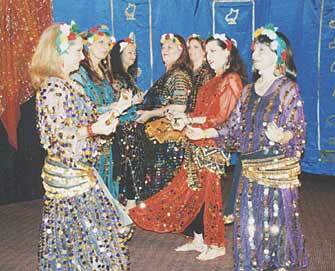 Left to right: Pari, Chennaiya, Akasha, Katina, Sherezzah Bint al-Waha, Adena Bint Sherezzah, and Mona. 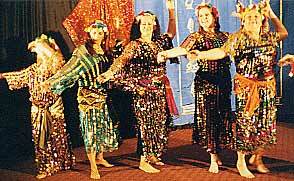 Left to right: Pari, Chennaiya, Akasha, Sherezzah Bint al-Waha, Katina. 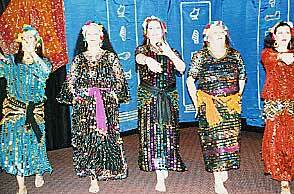 Left to right: Chennaiya, Akasha, Sherezzah Bint al-Waha, Katina, Adena Bint Sherezzah.